“Norwegians dread Barnevernet. Especially the parents, expectant mothers, and those who practice responsible parenting styles which conflict with Norway’s secular parenting ideology. This is the picture that emerges from the many electronic communications dispatched from Norway to the international team working on the Bodnariu matter, as well as the countless commentaries posted on different facebook pages around the world which relate to this incident. Together, they weave a compelling story of fear and apprehension of Barnevernet, an odd Norwegian institution which rightly may be described as a Stalinist monstrosity. Many Norwegians are fed up with it and are keenly aware that it brings shame on their country. It embarrasses them and, as you will see below, stokes fear in many of Norway’s families. The families, however, feel helpless. Their stories are remarkably insightful into the practice of the legal abduction of children in Norway, a dark aspect of Norwegian life which the world cannot access and which is not depicted in the mainstream mass media where any subjects adverse to Norway are taboo. Other comments decry that parents are being turned in to Barnevernet by their neighbors or anonymous callers. The latter might be a foe, a disgruntled coworker, or a mother envious that the kids next door do better in school or sports. Or the anonymous caller might seek vengeance because the parents stepped on the caller’s toes. One commenter revealed that anonymous callers turn in parents who drink alcohol in front of their children. One person opined that some of the anonymous callers are Norwegians who dislike foreigners, and another one complained of “cultural intolerance, racial intolerance and extremist nationalism” on the part of Norway’s institutions. According to the messages received, it is not uncommon for parents to receive letters from Barnevernet summoning them for appointments in which they are interrogated about their children’s upbringing. One indignant lady disclosed the subjects, which I will call specious, on which she was questioned: why her son was not enrolled in sports, and why, the mother herself, did not attend a school function some weeks before the interrogation? The question about the son could indicate Barnevernet’s belief that he might not be developing well, while the question posed to the mother that she is withdrawn, anti-social, depressed, suffering from mental illnesses, or in need of counseling or medication. The mother breathed a sigh of relief when, following the interrogation, Barnevernet did not take her son away. But others have not been so lucky. Complaints also have implicated mothers who work late into the evening instead of being at home feeding their children. The interrogation techniques also stand out. In much of Scandinavia, the commenters said, teachers no longer ask children if they are spanked at home because the children have learned to answer NO or not answer at all. They are keenly aware of the high odds that if they say they are spanked they will not see their parents or siblings again. For this reason, the educators resort to indirect and highly subjective approaches to obtain the answers they want. For instance, children are asked to draw on paper their concerns, worries, or what they dream about at night. The drawings then end up before “experts” who surmise from the drawings the children’s state of mind and whether they are neglected or abused at home. This guess work often becomes the justification Barnevernet uses to sever the children from their parents. Parents also write that Barnevernet routinely holds individualized meetings with children behind closed doors, or “in camera” meetings as they are denominated in Norwegian law. Only state authorities and the children attend these sessions, to the exclusion of all others, including the children’s parents and attorneys. Children are asked about how they are treated at home by their parents. The interrogation often involves leading questions designed to trap or extort from them the answers or the “evidence” Barnevernet needs to separate the children from their parents. Others have written that there is an unofficial script which Barnevernet follows to detach children from their biological parents and put them up for adoption. Others write that Barnevernet targets families with more than two (2) children, claiming that having more than two (2) children ipso facto makes it very difficult for parents to properly raise their children. Families with numerous children are fair game to be dismembered by the state. Targeted also are families who homeschool their children. Some have fled Norway. 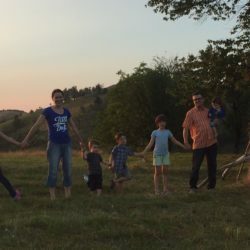 They are called families “on the run from Barnevernet.” In fact, one comment came from a family which moved to the United States to be able to raise its several children in accordance with the family’s Christian faith. Just a few days ago I came across this powerful, yet painful, comment from a Norwegian gripped by fear of the Barnevernet. He and his wife have six (6) children and are expecting their seventh. 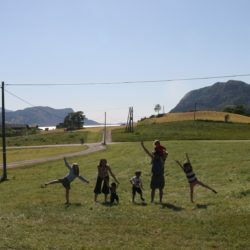 They do not disclose the pregnancy “because the state is stealing children.” They “live in fear every day in Norway because we [could] never know who or when they steal children.” Barnevernet, he added, daily takes away from parents seven (7) children. One day his children plaid in the neighborhood with other children, and Barnevernet “stole four children from our neighbors.” His family had been investigated by Barnevernet “over 20 times.” After each investigation he and his wife developed medical problems. “Barnevernet are killing us slowly in Norway,” he wrote, also pointing out that some parents have committed suicide after their children were abducted. Others develop severe stress and depression. The commenter compared the struggle against Barnevernet to a “fight against satan.” He thanked Romanians for taking to the streets to protest Barnevernet’s atrocities, adding that the protests gave Norwegians “hope to win” their own “war” against Barnevernet. The protests gave him more hope than ever that the “war” will be won. Are these fears irrational? Hardly. 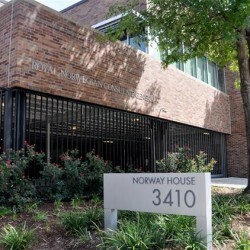 Consider some of the provisions of Norway’s Child Welfare Act (“Act”), improperly so called, and which, by the standards of the modern citizen accustomed to the rule of law, are frightening. 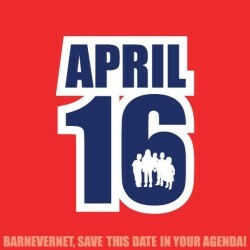 They legislate the nightmare that Barnevernet is. Section 3-1 imposes an obligation on “municipalities” to “closely monitor the conditions in which children live.” How is this “close monitoring” done? Some means have been identified already: anonymous callers, teacher complaints, periodic interrogations of parents by state officials, letters in the mail, disgruntled neighbors, separate meetings with children. According to Section 3-1the monitoring is intended to “bring to light neglect, social and emotional problems” of children and thus to avoid “lasting problems” for the children. This is all done under the pretense of Barnevernet pursuing “the child’s best interests.” Section 4-1 of the Act. Following complaints and investigations, Barnevernet is empowered to take “measures” to rectify the problems children allegedly face, including the issuance of “interim orders.” Section 4-6 of the Act. This includes the issuance of a “care order without the consent of the parents.” In the vernacular, this means an order to take the children away from their biological parents. 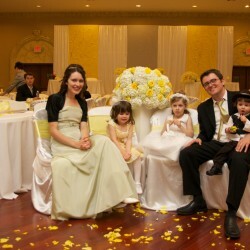 There is no time limit on how long the children can be separated from their biological parents. Note, though, that if the separation “has lasted more than two years” the Act imposes a presumption that returning the children to their biological parents and removing them from the foster parents could harm the children. Accordingly, the children are likely to be adopted by the foster parents. This means that, the longer the separation, the chances of the children being reunited with their biological parents become virtually nil and the children are put up for adoption. Section 4-20 of the Act. The child-parent relationship, however, can be severed even before the expiration of the two-year period where “the child has become so attached to [the foster parents”] … that … removing the child may lead to serious problems for him or her.” Note also that the “foster parents,” not the biological parents, are “entitled to state their opinion” on whether the children should or should not be returned to their biological parents or, instead, be adopted by the former. Section 4-21 of the Act. 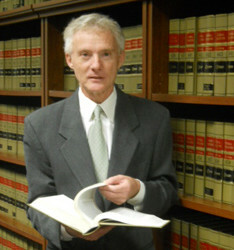 Peter Costea is a civil rights attorney practicing in Houston, Texas. He also holds a PhD in diplomacy from the Fletcher School of Law and Diplomacy in Boston, Massachusetts.